Welcome to week four of the Top 50 Game Soundtracks of All Time, as chosen by yours truly. There are but two rules for games to be listed here: 1) They have to be from games I've played, and 2) They can't be made up of licensed music. After the conclusion of this week of game soundtracks, we have but one more to go through-- numbers 10-1! Everything so far has led up to next week! Let's not get ahead of ourselves, though-- let's get to this week's selection of soundtracks! Like last week, we start this week's list of ten game soundtracks with some Legend of Zelda! 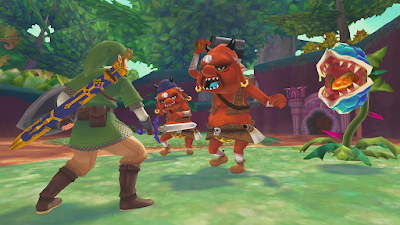 In this case it's the newest non-remake/remaster console installment, The Legend of Zelda: Skyward Sword. 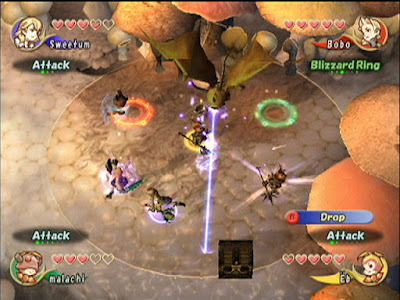 The game utilized a mostly orchestral score, and it sounds just heavenly, whether it's for the more tender, emotional moments of the game or action-packed battles that pack this Legend of Zelda game. It's only my favorite video game of all time, so it makes sense that I would have it somewhere in my list of top 50 game soundtracks of all time. 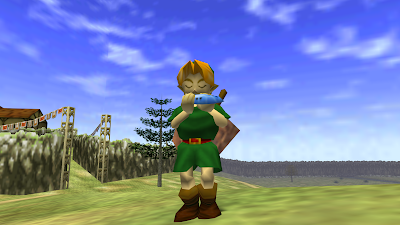 The themes that Koji Kondo composed for the game will forever be etched in my memory as an important companion through the first fully 3D version of Hyrule. It's a game that means so much to me as a gamer, a game creator, and a game blogger. While I enjoyed the music from Donkey Kong Country: Tropical Freeze, it's not my favorite soundtrack of the series. I still very much enjoy listening to the old school SNES trilogy. 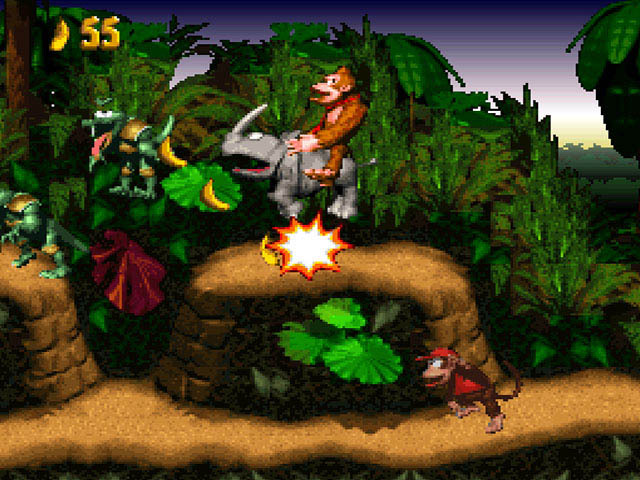 Well, that isn't wholly true, as the third game, Dixie Kong's Double Trouble, will not be making an appearance on this list at all. Still, it amazes me what Dave Wise and the Rare composition team were able to get out of the Super Nintendo's sound card. It's just astonishing how good these songs still sound. Speaking of astonishingly good-sounding songs, Jet Force Gemini is without question my favorite Nintendo 64 soundtrack. 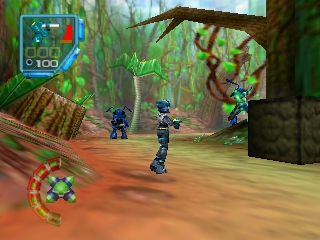 Again, Rare's team of composers got an exceptional amount of quality of the Nintendo 64's sound capabilities, creating majestic themes, pulse-pounding rhythms and beats, and unforgettable melodies that play as you, Juno, Vela, and Lupus shoot and blast Mizar's alien insect menace from the galaxy. 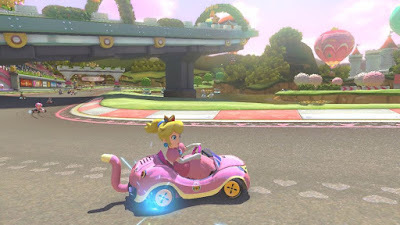 A more modern entry on my list of 50 favorite game soundtracks, Mario Kart 8 sports a jazzy, big band soundtrack, much like Super Mario 3D World in some very similar regards. 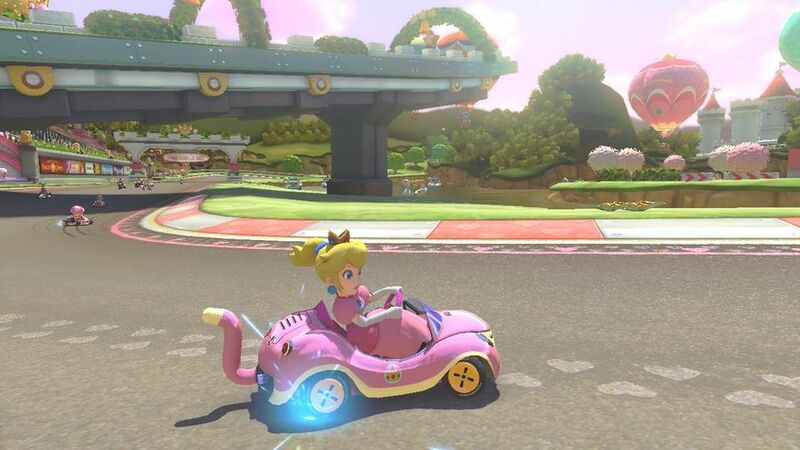 Right when you pop in the disc and the initial loading screen finishes, your ears are also ready to go on a wild ride rather than just your kart and bike and choice of character. This is one soundtrack that I continuously listen to, as it seldom fails to put a great, big, old smile on my face. Taking the Mario series to new heights and into outer space, Super Mario Galaxy 2 features a mostly fully symphonic soundtrack with some tunes containing synth instruments for a wackier approach to the music. 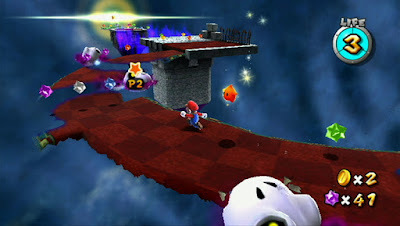 However, most of Super Mario Galaxy 2's soundtrack is big, bold orchestral themes that heighten and accentuate the platforming action that Mario performs across the stars in this great platforming epic. Chrono Trigger probably would have a place on this list, but the only caveat is that I haven't actually played it yet. (Remember rule #1.) 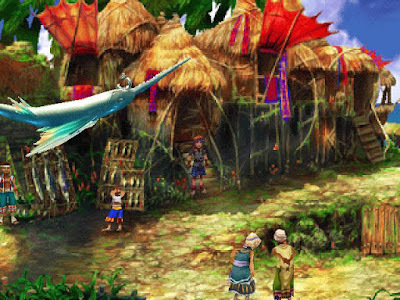 That said, Chrono Cross contains some of the PlayStation's best themes. The soundtrack itself is so worldly, offering a myriad of musical styles with a variety of interesting instruments, rhythms, and melodies. Yasunori Mitsuda did a marvelous job with the Chrono Cross soundtrack. 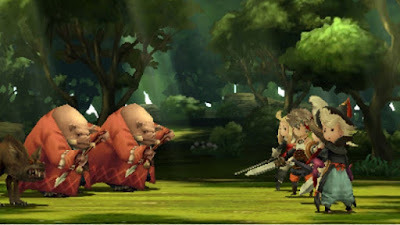 Another more modern game to hit this list of 50 games is Bravely Default. Composed by Japanese progressive rock artist Revo, Bravely Default's music has definite roots to Revo's favorite genre to make music in. The music is part times rock, part times orchestral, and all the time awesome. It even makes going through the infamous parts of the game less of a pain in the neck to do when you have fantastic music to go along with it. Another Yasunori Mitsuda soundtrack, Xenogears is a game that Squaresoft didn't think would sell well in the West. However, when demand outperformed supply, Squaresoft wised up to its mistake. 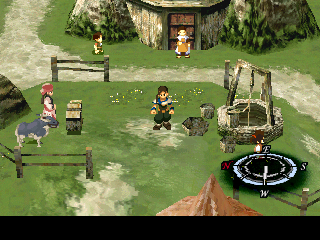 There's no mistaking that Xenogears soundtrack that creates a wide range of emotions in the listener and player is anything short of phenomenal. It makes you wonder why Yasunori Mitsuda isn't given more games to compose soundtracks to nowadays! One of my favorite Final Fantasy soundtracks doesn't even come from the mainline series. Instead, it comes from Final Fantasy Crystal Chronicles, Square's return to Nintendo home consoles. Kumi Tanioka composed the music for the game, and it uses worldly instruments to create a lovely, rustic sound to the entire soundtrack. There isn't a theme in this soundtrack that I don't enjoy, and that's somewhat of a rarity when you have two compact discs-worth of songs!